Kincaid International Corporation's CEO, Webber Kincaid, and his executive assistant, Tristan Moreau, have just returned from a Caribbean business trip gone horribly right. After years of hiding their love for each other, they finally came clean - and discovered KIC's chief financial officer has been up to some shady business transactions. Now that they're back, Tristan and Webber must expose the CFO's indiscretions - and save Webber's reputation, since he's ultimately responsible for his CFO's actions. With Tristan by his side, Webber faces KIC's board of directors and a looming investigation by the Securities and Exchange Commission and Department of Justice. With all the uncertainty surrounding them, Webber and Tristan rely on the strength of their connection. Together, they plan an intimate wedding on the island of Martha's Vineyard. 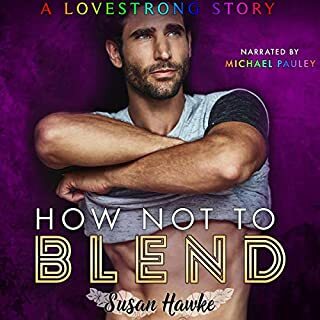 But despite their love for one another, Webber and Tristan quickly realize they have some hurdles to cross before they can start their unexpected new life. Would you listen to An Unconventional Union again? Why? Yes I would, I love the way it kept me on the edge of my seat throughout. Webber I think. I love how he continually grows as a person, and keeps on romancing Tristan regardless. Have you listened to any of Finn Sterling’s other performances before? How does this one compare? 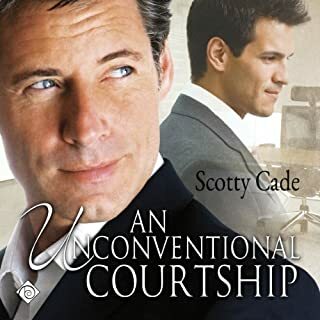 I listened to An Unconventional Courtship first, which I strongly suggest you do before listening to this one, and I love how he carried over the same tones from that book for the characters. Oh hell yes! This book made me laugh, cry, laugh while I was crying! Note ** this is the second book in a series that must be read in order, or you will be totally lost. Webber Kincaid, CEO of Kincaid international and his boyfriend, Tristan Moreau are still getting used to their status as a couple while dealing with the fallout from the former CFO’s corrupt business dealings. Hoping for the best, but preparing for the worst, Webber proposes to Tristan, and the two set out to plan their dream wedding. Their lives are a characterization in chaos at the moment though. Webber may or may not be indicted on fraud charges stemming from his CFO’s shady business deals. 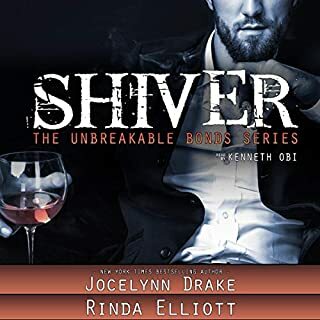 Tristan is hiding something from his past from his fiancé, and someone on the board of Kincaid international is not only less than pleased that Webber is now engaged to a man, but they are leaking secrets to the press. A short getaway to Martha’s Vinyard to check out a possible venue for the wedding turns out to be just what the doctor ordered for Webber and Tristan in the midst of all the insanity. Life must go on though, and before Webber and Tristan can say their I do’s they will have to face the fallout back home. They are confident that having the truth on their side will vindicate Webber and clear him of any wrong doings, but the law can be fickle at times. And just when it seems that these two are going to get their happy ever after, tragedy strikes and jerks the rug right out from under them. The relationship is put to the test and you are left to wait and see exactly how many bodies fall in the end. This book was a goddamn tear jerker, I was not prepared! I was literally on the edge of my seat from start to finish. Because of all the possible scenarios Cade has set in motion, you really have no idea where things will go in the final scene. I was laughing, then crying, then laughing while I was crying. I smiled, I screamed, then laughed and cried some more. Definitely a Kleenex warning needed for this book. While the first book was sugary sweet with the suspense waiting until the end to make an appearance, this book was a more even balance of sweet suspense. Webber and Tristan exchange vows surrounded by their closest family and friends, with the most beautiful backdrop anyone could want for their wedding. I loved the suspense, the passion and the fact that Webber never stops romancing Tristan. Oh but that ending, sad panda! Oh, yes, narration, right I’m supposed to talk about that too. Sterling is a great story teller really expressing that older, slightly sophisticated, southern esque drawl for Webber and then turning on Tristan’s more effeminate, flamboyant characteristics flawlessly. Like I said the story is sweet, suspenseful, romantic and sad. But it all comes together in the end and mix of writing and narration really make this one a must listen. I think I have a new favorite narrator. I hope he does more of my favorite stories. Great ending to a wonderful story!! Finally The second book to the series and it didn't disappoint.. Loved the way this story kept you listening to the very end with ups and downs and twists and turns.. The only thing is I would have liked the book to have finished with an epilogue as it kind of just finishes not so much as a cliff hanger but like there is more to tell I'm not sure wether you could get another book out of it and wether Scotty is doing a follow on but it just seems there could have been more to the end of what happened to these characters I won't spoil the end for those who haven't listened or read it. Another good narration all in all great end for a HEA.. 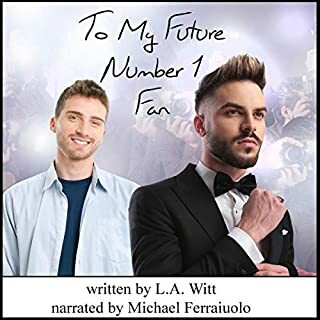 This is the completion of the first book and its nicely done, sorry about Deanne but the child still have two loving fathers and I had to laugh about the CFO of the company blaming the CEO of the company and his lover for his down fall. Good job! 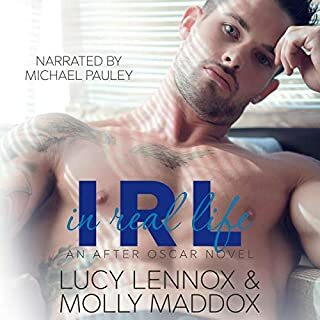 Where does An Unconventional Union rank among all the audiobooks you’ve listened to so far? As far as performance goes low on the list. As far as the book goes middle of the pack. What didn’t you like about Finn Sterling’s performance? He has trouble with voices. His men's voices are okay, especially the two main characters. But his women leave a lot to be desired. It made me laugh and cry. The ending was a real shocker.